Companies that are actively under MESA Group mentorship are referred to as “portfolio companies” in keeping with our Intellectual Capital model. Our primary focus is on emerging software companies who have a commercially available product and have demonstrated a repeatable sales model. Each portfolio company candidate is carefully screened and evaluated by the mentor team and, if approved, is assigned a sponsor mentor to work closely with the organization. If you’re interested in learning more about MESA and how to become a portfolio company, please contact us. 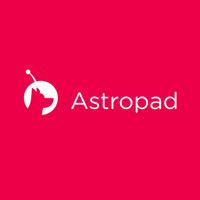 Astropad is software that turns the iPad into a high end drawing tablet for the computer. Existing dedicated drawing tablets either have difficult learning curves, or they are prohibitively expensive, costing thousands of dollars. Now with Astropad and an iPad, we are able to deliver the same experience as expensive drawing tablets at a fraction of the price. 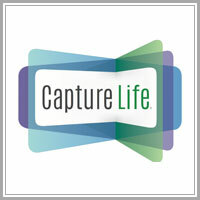 CaptureLife is a mobile marketing and commerce platform connecting brands to consumers through personalized digital media. We turn memorable images and video that are uniquely important to each consumer into new revenue and on-going customer relationships for content and experience creating businesses. Dispatch is a platform services company providing technology that connects the industrial distribution market with on-demand delivery. Dispatch delivers real time status and location visibility and a massive on-demand driver network to make delivery affordable, scalable and tech enabled. Targeted at the industrial business to business sector, Dispatch allows industrial suppliers the ability to affordably meet the “I need it now” delivery requirements of their customers. HabitAware’s patented smart bracelet, Keen, is delivering on its promise to “Retrain Your Brain” away from negative compulsive behaviors. Keen’s customizable gesture detection technology creates heightened awareness of unwanted behaviors in real-time via vibration. With awareness, one has the power to make new, healthy choices. MDD’s purpose is to automate business processes. Using the Internet of Things concept, along with Bluetooth technology, MDD enables the tracking of assets, as well as the analysis of how to make a business more efficient, effective and ultimately, more profitable. 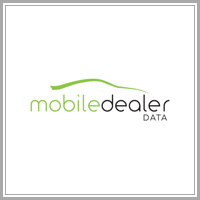 The initial focus for MDD is to improve business operations for the retail automotive industry. The revolutionary We Find Keys & Cars™ system enables dealers to solve one of the industry’s biggest business problems – automatically tracking their key and car assets and locating them within seconds. 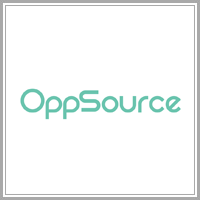 OppSource is a Sales Engagement Tool focused on making sales prospecting and engagement easier and more effective. Our software provides a unique account-based approach that creates a more intelligent view of buying influences and accelerates the sales team’s relevance to the prospect’s greatest needs. With enhanced workflow tools, moment-of- interest alerts, and automated touchpoints, time-to- close is reduced substantially; revenues accelerate; quotas get retired faster; and commissions increase. 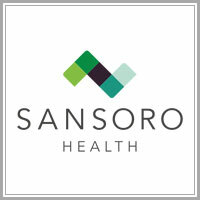 Sansoro Health is the champion for health IT leaders. Our software allows digital health applications and EMRs to seamlessly exchange data in real-time. This proven API solution removes integration barriers, enables smoother workflows, reduces licensing and maintenance costs, saves time and minimizes risk. By enabling faster integration of innovative solutions, we free you to achieve what matters most. 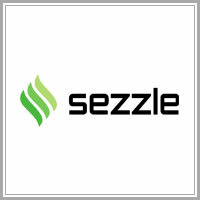 Sezzle is an alternative payment platform that increases sales by enabling interest-free installment plans at online stores. Consumers pay over time, but our merchant partners are paid upfront, eliminating risk of fraud or non-payment. Starting 11 is the world’s first live daily fantasy soccer platform. Users from over 100 countries around the world compete with one another in Starting 11’s daily fantasy soccer contests by making real-time substitutions — just like a soccer manager — to their team while live matches are played. Starting 11 turns soccer fans from passive observers to active participants in the sport they love. TeamGenius is an athlete evaluation tool used by thousands of youth sports clubs and teams to streamline tryouts, camps, team evaluations and feedback. With powerful admin functions and an intuitive mobile app, TeamGenius eliminates double data entry and human error, and provides analytics and reporting tools to help organizations properly form teams, reduce busy-work for staff and volunteers, and more easily share feedback with players and parents. Vidgrid puts all the video tools you and your team need in one spot. Our web app allows you to record and share videos in just a couple of clicks. Your team can then easily reference videos that’ve been shared with them after the fact via search. Whether you want to get your employees up to speed or help your support reps solve problems quickly, a few lightweight videos on Vidgrid will do the trick. When I Work makes employee scheduling easy. Most businesses spend an average of 8 hours per week or more on employee scheduling using programs like Excel, or even worse— a pencil and paper. Employee scheduling software can help you build your schedule for the week in as little as 15 minutes. 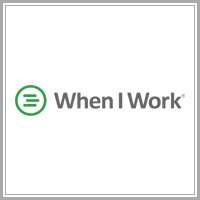 When I Work is an employee scheduling app that does more than just save you time on scheduling. It also helps you improve communication, eliminate excuses, boost accountability among your staff, track time and attendance, and grow your business.